I hope you’re coping with the chilly weather. It seems that winter has come very suddenly. I’ve had to get out my warm jumpers and put some more blankets on the bed. On Sunday we had a stand at the New Energies Festival and as I was loading the car in the morning the rain came down with a vengeance! It was torrential. When I was studying Hypnosis twenty years ago there were a couple of fellow students who did Reiki. I’d never heard of it and when they talked about someone having a blockage I honestly thought they were talking about constipation! I wrote about my first experience with Reiki a while ago. If you’re interested you can read it HERE. It was a profound experience for me and a real awakening to the fact that there is more to us than meets the eye. During the session I had waves of tingles and blasts of white light flowing through me. I chuckled out loud at times because it felt so amazing and I cried at times because it released such deep seated emotions. Afterwards, the women that worked on me showed me how to feel and channel the energy through my palms. After the session I went home and my husband, Harry was experiencing back pain. It was right between his shoulder blades. I told him to lie face down on the bed and I put my hand on his back right over the sore spot. I relaxed and paid attention to the feeling in my hand. It literally felt like I was holding my hand over a glass of lemonade. I could feel tiny prickles like bubbles popping. After a few minutes the prickling stopped and I took my hand away. Harry turned over and stretched and wriggled and looked a bit bewildered. His pain was gone! Since that day I’ve had a fascination for Energy Healing. Many years ago I read of a study that was done by Daniel Wirth of Healing Sciences International in Orinda, California. Forty-four college students received identical minor wounds that were deliberately inflicted by a doctor in the right or left shoulder. (So much for the Hippocatic Oath hey? But at least no animals were harmed, just college students). Anyway half the subjects then received an energy healing treatment and the other half didn’t. The treatments were given a way that ruled out the possibility of a placebo effect. All forty-four students extended their arms though a hole in a wall. In the other room, a trained healer gave healing from a distance without touching the subjects arm. After eight and sixteen days the rate of wound healing was measured. After eight days, the treated group’s wounds had shrunk 93.5% compared with 67.3% for those who weren’t treated. After sixteen days, the figures were 99.3% and 90.9%. Interesting hey? Dr. John Zimmerman of the University of Colorado using a SQUID (Superconducting Quantum Interference Device) discovered that magnetic fields several hundred times stronger than background noise are created around the hands of trained healers when they’re doing healing work on patients. Those same fields aren’t created by sham healers but only with trained healers. Often when you receive Reiki you can actually feel the heat coming from the healer’s hands. It’s interesting to know that the frequencies of the magnetic fields surrounding the hands of the trained healers were in the alpha and theta wave range. This is the range that’s seen in the brain of meditators. When I work with clients with Irritable Bowel Syndrome I often teach them to place their hands on their abdomen and imagine sending healing and calming energy. Even though they may not be trained healers, setting the intention and practising can help enormously. Now once you accept the fact that distant Reiki works you become aware that we are all energetically connected. Energy follows thought and so we are all psychically and telepathically connected. I once asked a friend who was in Perth at the time to do a distant healing on me. We set a time for 10am and I was supposed to lie on a massage table for an hour while he “worked” on me. At 9:50am that day I was suddenly overwhelmed with tiredness. I could hardly walk or think straight. I went and lay down on the massage table and waited for him to start the healing. I went into a deep sleep and after an hour woke up feeling great. I called him to debrief and before I said anything he told me that he’d started the healing 10 minutes early. He didn’t think I’d mind! Just as well I wasn’t driving or handling heavy equipment! So Energy Healing comes in many forms. If you’ve never experienced Reiki then I encourage you to book a session with one of our practitioners? 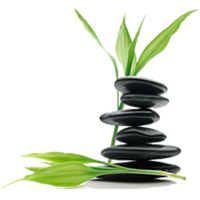 Most of our Massage Therapists are trained in Reiki or some other form of Energy Healing. A Lomilomi Hawaiian Massage or a Tibetan Peace Massage are specifically designed to channel that healing energy into your body. A Lomilomi Massage involves beautiful, long, flowing strokes to clear blockages (and I’m not talking about constipation) and it encourages your body’s energy to flow strongly and freely. And as of this week Manuela Picinich, one of our Hypnotherapists, is actually offering HypnoReiki. You’ll be surprised how deeply relaxing and healing this combination of Reiki and Hypnosis can be. By the way I’m happy to let you know that we have 3 fantastic new Remedial Massage Therapists starting over the next couple of weeks. Book a 60 minute Remedial Massage before the end of April and receive a $20 voucher to spend in our gorgeous shop or spend 20 minutes in the Sauna prior to your massage. TWO MORE THINGS…We are open on ANZAC DAY and part of our profits will be donated to Amnesty International. And because this Wednesday is EARTH DAY our Lunchtime Mediation at 12.30pm will be devoted to healing the Earth. Please join us if you can. It goes for 30 minutes and the cost is $10.